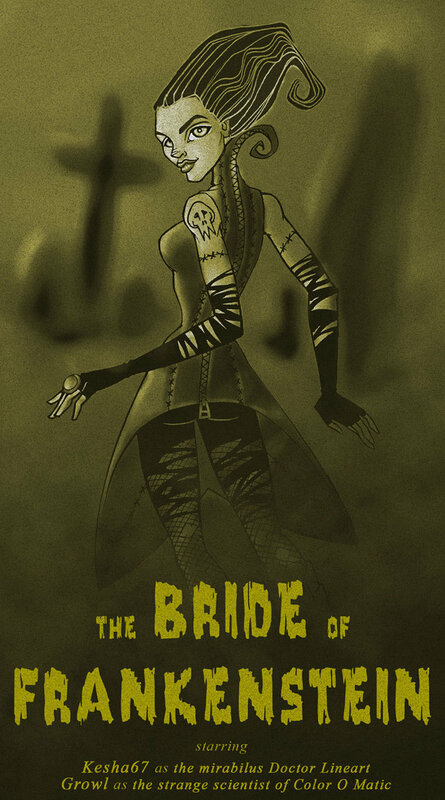 Uh oh, the Bride is mad! I’m not sure what the Bride is mad about. Perhaps the questionable activities of the Creature back in the 1970s. 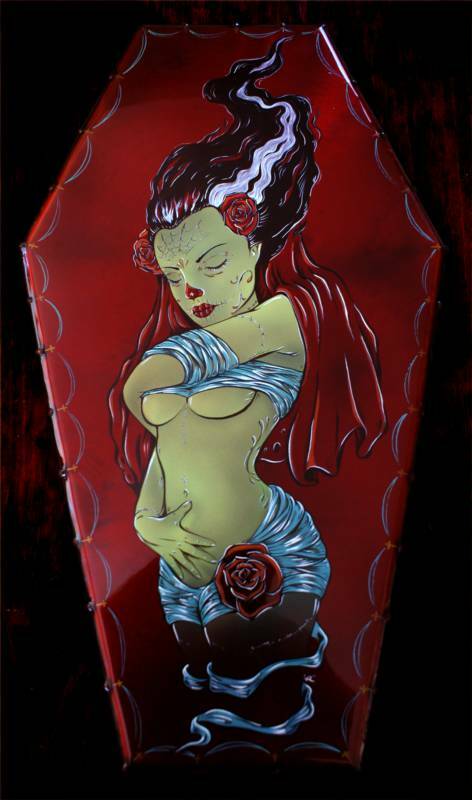 This image of the Bride is the work of Costa Rican artist Serg Acuña. He has done significant work in comics. I found this version of the image at his Behance page. He also has a Facebook page, and DeviantArt site, can be followed on Twitter at @SergAcuna and on Instagram. You can read some of his comics work at Comixology. The image is presented here by the kind consent of its creator. This odd artwork first appeared at the Rebel 6 tumblr attributed to Eric Quezada with a link to what was apparently that artist’s site. The site itself is gone, but at least one copy of it survives on the Internet Wayback Machine. This post is a reblog of a a 25 November 2013 post at Infernal Wonders. 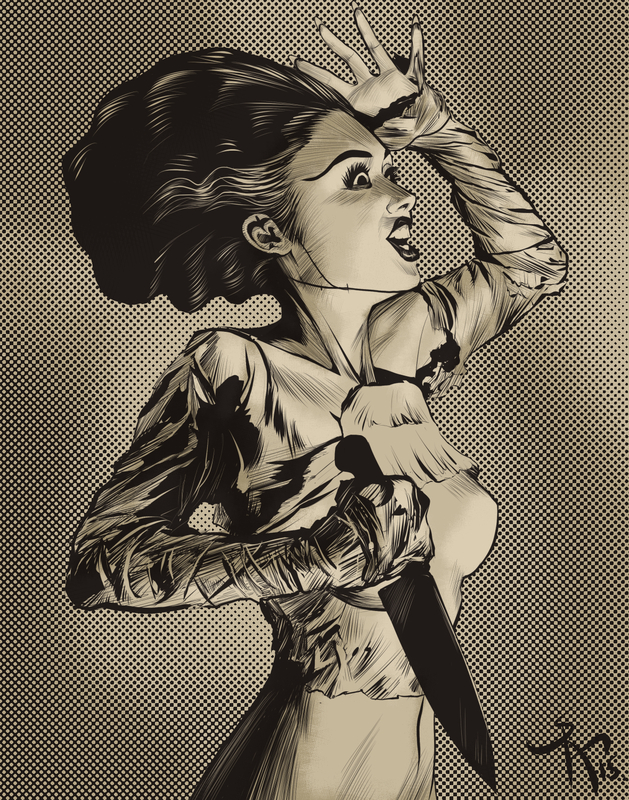 This darkly-funny Bride of Frankenstein image appears to be work by the brilliant cartoonist Shawn Dickenson, who maintains a blog here. The image itself is a reblog from a 16 November 2013 post at Infernal Wonders, with an original source of at the tumblr Vintage Vengeance. 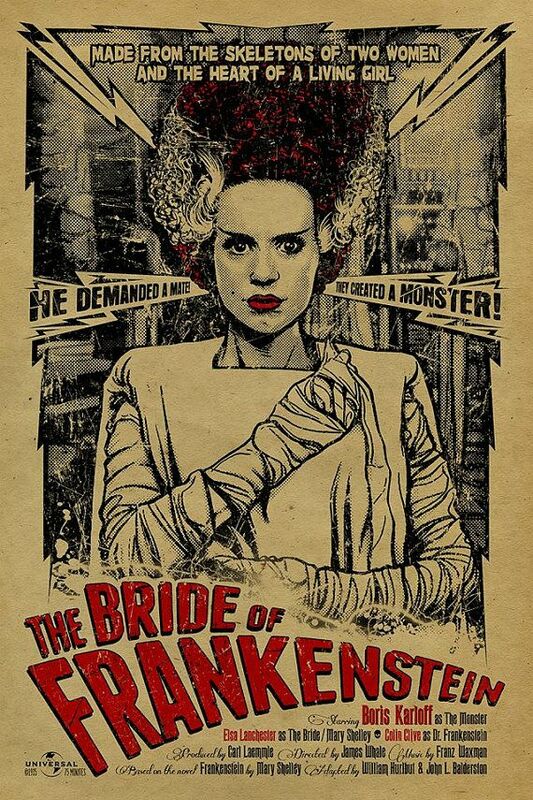 This Bride of Frankenstein poster originally appeared in my blog network in this post at Hedonix. It’s another find from a dead Tumblr. My original tumblr post was here. This image was originally posted on tumblr by makeupbag and comes to us via horror whore. My original tumblr post was here. It was originally posted by BOBBY DRAW! which I believe is the tumblr of the artist Bobby Timony, also indicated by the signature on the illustration. The post comes to us via horror whore. My original tumblr post was here. This image was originally tweeted by Savage Comics. 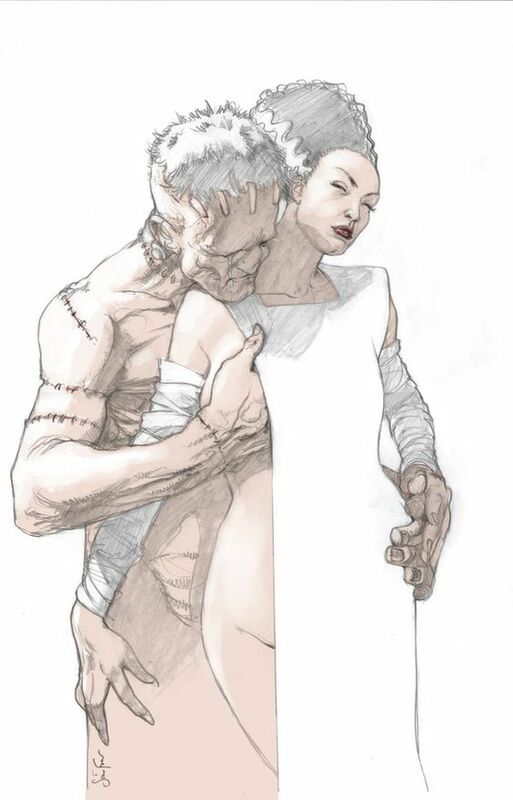 It turns out to be BrideofFrankenstein by Simon Fraser. My original tumblr post was here. 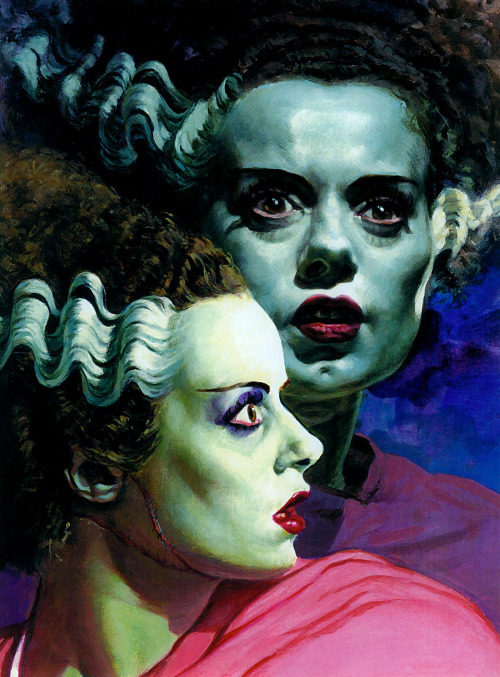 This image was first blogged on Tumblr by Chaos Neverwhere with the explanatory text “Basil Gogos’ Bride of Frankenstein painting,” and comes to us via All hell breaks loose. There is a gallery of the work of prolific horror artist Basil Gogos to be found here. My original tumblr post was here. 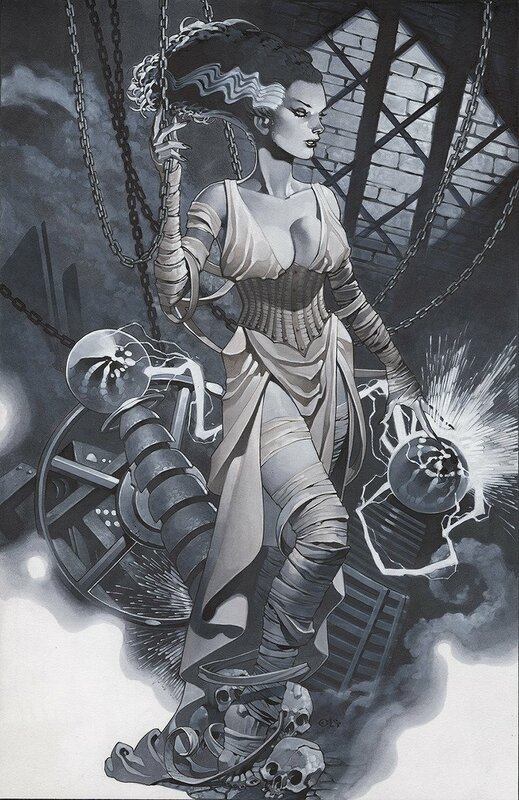 I reblogged this image from HellHorror.com with the explanatory text “Bride of Frankenstein, made by artist Chris Stevens.” Chris Stevens has a DeviantArt site here. My original tumblr post was here. 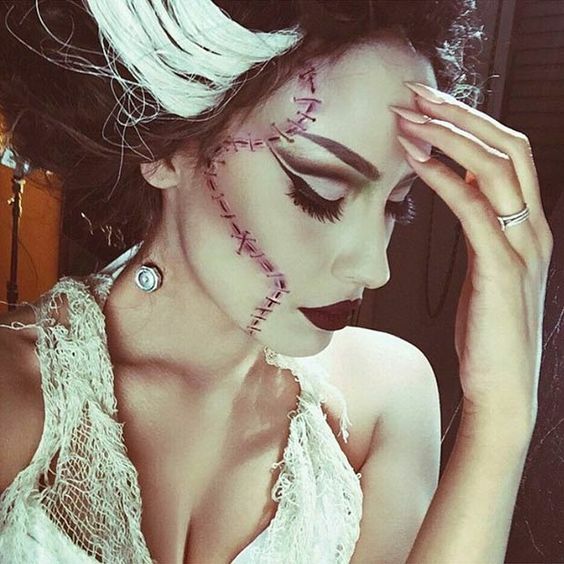 This image is Bride of Frankenstein by kesha67. It was originally posted on Tumblr by Lily Goat.